Below is the text of the speech made by the Minister for Universities and Science, David Willetts, at Imperial College on 18th April 2013. You don’t need me to tell you that this year has seen major changes in higher education. There have been important gains from our reforms – with the quality of the student experience brought to the fore together with more cash going to our universities for teaching. But I recognise it has also been a year of uncertainty. I have always wanted universities to emerge from the reform process stronger, with students better served. That has been the vision, too, of Alan Langlands. He has been a rock of stability amidst so much change. I am sorry he is leaving HEFCE, but I quite understand the reasons for his moving to be vice chancellor at Leeds University, particularly given his close personal connections with the area. Alan has been an absolutely first-class head of HEFCE. It is, of course, heir to the old University Grants Committee – a body that also had to wrestle with cuts in public spending in its time. During the economic crisis of 1931, the Chairman of the UGC, Sir Walter Moberley, received a telegram from the Treasury while shooting grouse in Scotland. It informed him that his grant for that year was to be reduced. From the moor he telegrammed back that such a thing was unthinkable and the most he would forego was a modest reserve built up from previous years for future development. He won. So there is a long tradition of strong leaders of the funding councils and I am sure I speak for every one of us here today when I say how grateful we all are to Alan and how we wish him well. Given the importance of stability at HEFCE, I am delighted to announce that Tim Melville Ross has agreed to extend his time as chair until 2016. We all value his courtesy and wisdom. He will be an important figure of continuity. The rest of this year will bring to the fore the name of another great public servant – Lionel Robbins. His report on higher education was published in October 1963 and immediately accepted by the then Conservative Government. His two researchers, Claus Moser and Richard Layard, are both still with us and it is fitting that the institution they have all served, the LSE, will be holding a conference to mark the fiftieth anniversary. So will the Institute of Education. I expect there will be others too. The Robbins Report is up there with Beveridge and Butler as one of the great founding documents of the modern welfare state. So I have been re-reading it and have been struck by the parallels with some of the big questions we face today – and by some of the differences. Robbins does not worry much about money – it gets 17 out of 276 pages. I am always told how much more civilised things were then, compared with today’s policy documents which focus on such awkward utilitarian questions. Robbins does briefly flirt with the idea of student loans, though as an idea for “ future experiment”. He didn’t have to focus on finance because the financial model had largely been set three years earlier by Sir Colin Anderson, in a report that paved the way for the introduction of a national student support system in 1962. And one of the reasons we are also celebrating this year the fiftieth anniversary of some of our leading universities – Bath, Lancaster, Loughborough, Surrey, Sussex, Warwick and York – is that the plans for expansion had already been put in place. This Government did not have the luxury of avoiding financial issues. We had to confront tricky financial questions and I am confident that, in the circumstances, we got the tough decisions right. We have increased the cash going to universities for teaching, while avoiding up-front fees for students and reducing costs to the taxpayer. We have also removed many number controls, making choice real, and getting a better match between students and institutions. By this Autumn, we will have freed from number controls new full-time students with ABB or equivalent grades. That is a third – around 120,000 – of full time students. All part-time places continue to be exempt from number controls. More school leavers than ever before are getting on to their first choice course. I have now asked HEFCE to consider the best way to deliver further flexibility for 2014/15 – in line with our white paper commitment that ‘the share of places liberated from number controls altogether rises year on year”. For 2014/15, we will continue to increase student choice and to enable popular institutions to expand. HEFCE will soon be consulting on a flexible and dynamic way of responding to demand from students who can’t benefit from the current freedoms for those with a high tariff of ABB or above. We want greater freedoms and flexibilities for all institutions, not just those with high-tariff students. 2014-15 will be a step towards that. Where student demand is low and institutions significantly under-recruit then unfilled places will be moved to those with stronger recruitment patterns. This will give greater flexibility to all institutions. It will remove some of the fear of penalties for over-recruitment and provide a sustainable means of matching supply with demand. Combined with the current ABB+ measure, this will allow for dynamism across the whole sector. It will allow all students more choice about where to study, not just those who achieve a certain attainment level – truly putting students at the heart of the system. One line of criticism is that our policies rest on a belief that there are only private returns to our universities and we do not understand their public value. We fully understand that the value of universities comes in many forms. There is of course a public value to university and that is reflected in the substantial public support we still offer. We cover the extra teaching costs of high-cost subjects. We quite rightly pay for that element of loans which we do not expect to be repaid. And we provide students with loans and grants for maintenance, which are higher than in many other countries. But there are also private gains too, which is why it is fair to expect graduates to pay back as well. Our reforms rebalance support so that the contribution from graduates goes up from 40 per cent of the total cost to 60 per cent. The contribution from taxpayers falls commensurately. But taxpayers will still pay for 40 per cent of the cost of a degree. Higher education is also very likely to boost your earnings – and if anything, that boost is sustained even during these tough times, as employers look for more qualified staff. And this boost to earnings (of over £100,000 net of tax over a lifetime compared to an A level student) is not just a boost for the individual. It also means there is a boost to long term economic growth and the tax base, as graduates pay more tax too. Exactly the sort of argument my friends in the Treasury are interested in at the moment. These public and private returns are not just economic but there are also wider social and cultural gains too. You can think of these different benefits as comprising a quadrant of public and private; economic and social. Each of the four boxes is full of good things which universities do. Going to university increases the chances that you will vote and appears to make you more tolerant. It improves your life expectancy. You are less likely to be depressed, less likely to be obese and more likely to be healthy. These are benefits for individuals and for society. That is what you would expect from such inherently worthwhile institutions as universities. And all these different types of benefit look to be as important as ever. The pessimism that somehow higher education is not as valuable as it once was is plain wrong. Economists assess all these different types of benefit and put figures on all of them. That is what economists do, to try to make everything commensurable with everything else. But non-economists do not have to think like that if you do not wish to. If you feel that economic calculation is too reductionist a way of measuring the value of a university then you can just assert that higher education is profoundly worthwhile in itself. We understand that. But universities do have a host of practical benefits and we should not argue ourselves into the absurd position where assessing and measuring these is seen as somehow betraying the true value of the university. Universities are for example important for their local economies. Tim Wilson produced an excellent report on this, one outcome of which was an improved regime for sandwich courses. Now we have asked Andrew Witty to bring the threads together. He wants to see universities at the heart of local clusters of economic growth. We are fortunate that one of our leading businessmen, who is also chancellor of Nottingham, is willing to focus on this crucial issue. Through the UK Research Partnership Investment Fund, we are securing over £1bn investment in R&D collaborations between universities, businesses and charities – enhancing university research infrastructure and building strategic partnerships between universities and the private sector which will help support long-term economic growth. 14 projects were announced in the Autumn – with more to come later this year. In addition, the university research base will also benefit from £600m additional research capital allocations announced in the Autumn Statement supporting the “8 Great Technologies”. In these tight times it is essential that we think creatively about capital support to develop HE infrastructure. So last year the Government announced the UK Guarantee Scheme. It is a very flexible financial instrument to support investment plans and I would urge you to make good use of it. The door is open at Infrastructure UK to help you assess whether guarantees are right for your institution. Last year, I said it would be a tragedy if anybody were put off from applying for university by the mistaken belief that somehow they had to pay and could not afford it. But it would also be a tragedy if they were put off by the belief that going to university was useless or pointless. And students from poorer backgrounds may be particularly susceptible to arguments that there is no point in going to university. For many people it is one of the most transformational experiences of their lives. We all need to communicate this. Many university applicants come from families with a history of attending higher education, or are at schools with successful records in sending people to a university. But other applicants are in the dark about the differences between different institutions, different courses and different options. That is why we launched the Key Information Set last year, so that people have access to comparable data on costs, courses and employability. It is working well, with 3.6 million website hits so far, and many more on partner sites. But I want to go further in making the system work better. We need to communicate the diversity of the higher education sector to individuals much earlier in the process, not just after they have submitted their UCAS form. New research from the United States by Caroline Hoxby shows that simply posting a pack of information to low-income students with high SAT scores raises the proportion who go to a college closely matching their qualifications from 30 per cent to 54 per cent. I am now working with DfE to see whether we can better target information at pupils from poorer backgrounds who have done well at their GCSEs. This is tricky terrain. With today’s sensitivities about data protection, it is hard for ministers to drop a line directly to Joe or Gemma congratulating them on their exam results and urging them to think about going to university. But perhaps we can write to the head teachers with a message to pass on. We are not going to start telling people where to apply. But I want to work with you so that we can go further in ensuring that students know where to look for the information that will help them make the right decision for them – about the range of universities and the support available. Nicola Dandridge has agreed to work with us on what such information might say. We have just had the highest rate ever of applications for university from the most disadvantaged quintile. In 2004 it was a scandalous 11 per cent application rate. Now it is up to a barely respectable 19.5 per cent compared with 54 per cent from the most advantaged quintile. I do not believe that just because you come from a poor family you are less suited to go to university. Nor do I believe that if you have had the misfortune of poor quality schooling this should ever bar you from higher education – the evidence is that university can transcend previous disadvantages. Universities also need to be confident that they will gain credit for their outreach activity even when the young person chooses another university. With 3,000 secondary schools in England, and over a hundred universities, the number of potential links between them is very large indeed. Again, we have asked HEFCE and OFFA to advise on this. We are asking them to consider if we need some kind of simple infrastructure. It might be a small team of dedicated people to engage with schools and colleges and ensure their pupils get access to the right outreach activities for them. It could ensure some schools don’t fall between the cracks whilst others get a surfeit of attention. An important part of that will be recognising when one university succeeds in helping someone reach a different university, perhaps one that suits them better. Currently, the spillover benefits of excellent widening participation initiatives – such as Queen Mary’s ‘Centre for the Cell’ on the Whitechapel Road – are not recognised. I want to see the right incentives in place for more such initiatives. Collaboration is as important as competition. With so much money going in to so many different initiatives, there is an opportunity for OFFA and HEFCE to assess what works and what doesn’t. Access budgets, are growing massively. They are up from £550 million last year to £740 million this year and are expected to reach £920 million in 2014-15. We must ensure this surge in spending is used effectively. As this research comes in we can expect universities to act on it. University engagement with schools can come in many forms. As well as your mainstream access activities you might be sponsoring an academy or a University Technical College. There are also historic links through university involvement in A levels. I hope many of you will be contributing to the university input into the content of the new exams which Ofqual and Awarding Organisations will be developing. Perhaps I can offer one piece of advice, which comes straight from Robbins. Robbins was particularly worried about the perils of specialisation. It comes up time and again in his great report. He feared that English schools were forcing students to specialise too soon and blamed universities for this. We all understand the problem. Ask a group of university physicists about 18 year-olds’ knowledge of physics and they will be shocked at how limited it is and demand more. The same goes for the historians. For each specific discipline, the pressure from academics can easily be for more specialised knowledge sooner. And as universities control their own admissions in this country – quite rightly – their power can shape the way schools structure subject choices after GCSEs. But we cannot just let each subject discipline shape its own A level without looking at the wider requirement for university students with a breadth of understanding and knowledge: scientists with a knowledge of history; historians who can do some maths; mathematicians with a foreign language. I know that Michael Gove with his broad Scottish education recognises the importance of this point. So, to everyone who believes in the civilising role of the university in this the fiftieth year of Robbins, I say that the role of universities in A levels reform is an opportunity to advance the cause of a broad liberal education. We are now seeing the biggest cultural shift in our universities for a generation as teaching is brought back centre-stage. This will mean changes to teaching practices and enabling staff to work more flexibly to meet student demand. Better information about what is going on is crucial. I know many of you shudder at the information requirements placed on you but it is interesting how attached universities have come to the TRAC system. HEFCE consulted on the future of TRAC and there was a strong argument from institutions to retain it. However, today I can confirm they will simplify the requirements so as to reduce the burdens on you by up to 20 per cent. And let’s make good use of information. I want to see students provided with clear information about where their money goes and what they are getting for their fees, rather like those pie charts you get from your council explaining how your council tax has been spent. When I was in Opposition, we said that the test of any changes in financing higher education should be whether students gained from them. That remains my test. Trying to pin down the quality of teaching is a difficult exercise. One approach is to try to measure the cognitive gains made by students during their courses. After all, universities are supposed to train the mind, so if you survey students when they arrive to assess how well, for example, they comprehend a complex argument and then measure them again when they leave, one might hope to see a clear improvement. Academically Adrift, the book by Arum & Roksa, tried such a measure in the US and got disappointingly modest returns. They found that “45% of students did not demonstrate any significant improvement in learning during their first two years of college”. I recognise that there is quite a lively debate about their methodology, response rates, the instruments used and interpretation. The OECD has recently tried to develop an approach to measuring learning outcomes from HE which would be meaningful across different institutions and countries with its Assessment of HE Learning Outcomes (AHELO) feasibility study. The aim is to have a university equivalent of its PISA survey for 15 year-olds or the recently launched assessment of adult skills. Early reports suggest that they too have found the methodological problems hugely challenging. A different approach has been proposed by the estimable Graham Gibbs in his work ‘Dimensions of Quality’ and the follow-up report. He argues that student engagement in learning is a good proxy for how well students are learning. Engagement can be measured by a range of indicators including class/cohort size (which he attaches more importance to than contact hours); who does the teaching; close contact with lecturers; effective feedback on assessments; and student effort. These are different indicators from those we have in our Key Information Set. The KIS has been constructed to reflect what current students say they want to know. Nevertheless, I hope we can continue to reform the wider information landscape to take account of Gibbs’ important findings. Of course, these are more complex factors to communicate. But I challenge the sector to develop a coherent and common presentation of these key factors so that students can easily access them on institutional websites. So today I have announced: * further liberalisation on student number controls for 2014/15 to benefit the full range of students and institutions; * joint work with the Department for Education on direct communication about higher education to students who have done well in their GCSEs; * a welcome for the role universities are taking on A-Level reform, while encouraging you not to press for even more specialisation earlier; * a further reduction in the burdens on institutions, with a 20 per cent reduction in TRAC requirements; and * a commitment to make progress on supplementing the Key Information Set with information on where students’ fees are going and fresh measures on student engagement in line with Graham Gibbs’s work. I am confident we can work together to achieve this. As always, Hefce have played a crucial role for which I am very grateful. Overall this has been a strong year for the sector and HEFCE as the reforms have come into effect. I am confident that we now have a stronger HE system, with students better served. 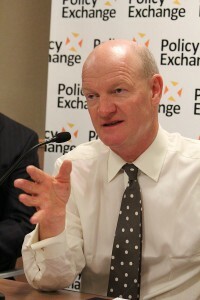 Below is the text of a speech made by David Willetts at the Policy Exchange on 24th January 2013. In January last year I spoke at Policy Exchange about the importance of a high tech industrial strategy. There is a lot that government can and must do to drive the development of key general purpose technologies. Today I can update you on the progress we are making and announce where we’re providing more funding for these key technologies. Vince Cable set out in an important speech in September 2012 our approach to industrial strategy. It is a long term approach across the whole of government, to give business the confidence to invest and grow. We are taking action to make this happen. Technologies and the broader research which underpins their development is a fundamental part of our approach to industrial strategy. Today I can set out new decisions to drive this forward. We are fortunate to have a very broad science and research base. Indeed there is no other medium sized economy which has anything like our range of world class research activity. This is clearly demonstrated in the Research Council impact reports that are being published today. The reports illustrate the value to the economy and to society of the funding that we provide for science and research every year. It is not just the Nobel prizes, the winners of the Fields medal and the world famous professors. Whenever there is a crisis, a civil war, or a coup d’état anywhere in the world we are likely to have a historian who has some understanding of the background, anthropologists who know the culture, and someone who can speak the language. This is an extraordinary privilege which we must not take for granted: citizens of very few other countries have such a wide open window on the world. The very range of what we do is one of our greatest assets, especially as great technological and scientific advances depend on breaking down the conventional barriers between disciplines. We have the extraordinary advantage of being the only medium-size country that has such a range of scientific activities. We have world class scientific institutes and research intensive universities. This includes humanities and social sciences. It is not just STEM it is STEAM – Science Technology Engineering Arts and Maths. Reed Elsevier’s 2011 review of the comparative performance of the UK Research Base identifies ‘over four hundred niche areas of research in which the UK is distinctively strong’. One of the main aims of our science policy is to maintain that breadth and not to find ourselves forced to trade off being world class in life sciences or history or physics. We do not direct our scientific and research community into particular research projects. Instead our science community rightly enjoys extraordinary autonomy as funding is largely allocated on the principle of excellence determined by academic peer review. This is the first pillar for our science and innovation policy. There is a second pillar too. After the failure of the economic interventionism of the 1970s and the triumph of the liberal revolution in economic policy of the 1980s we are wary of Government trying to pick winners. In so far as government can raise the growth rate we tend therefore to focus on measures which apply across the economy as a whole – deregulation or lower corporate taxes or ease of setting up a business. We perform well on many of these measures – the UK is already ranked 2nd in the G7 for ease of doing business. Until recently we have tended to favour these so- called ‘horizontal’ measures rather than ‘vertical’ ones which focus on particular sectors. Put the breadth of our science base together with the dominant intellectual climate and you get classic British policy on science and technology. We finance a broad range of research selected by fellow scientists on the basis of its excellence. The government is working hard at tearing down the barriers to the smooth functioning of a modern market economy. Strong science and flexible markets is a good combination of policies. But, like patriotism, it is not enough. It misses out crucial stuff in the middle – real decisions on backing key technologies on their journey from the lab to the marketplace. It is the missing third pillar to any successful high tech strategy. It is R&D and technology and engineering as distinct from pure science. It is our historic failure to back this which lies behind the familiar problems of the so-called ‘valley of death’ between scientific discoveries and commercial applications. Also, as we shall see, it helps to explain our belief that we lack a culture of risk-taking. We are living now with the long-term consequences of the failure to have a policy backing these key technologies. Look at the business sectors where we are strong – creative industries, financial services, construction, new web-based services. They all share a crucial feature. They are all areas without capital-intensive R&D. So paradoxically the very aversion to backing particular technologies with R&D has itself contributed to a change in the structure of the British economy – an economy which innovates but does not do as much R&D as many of our competitors. Focusing on R&D and on particular technologies is not the same as picking winners, which notoriously became losers picking the pockets of tax payers. It is not backing particular businesses. Instead we are focusing on big general purpose technologies. Each one has implications potentially so significant that they stretch way beyond any one particular industrial sector. Information Technology has transformed retailing for example. Satellite services could deliver precision agriculture. This is where we face the valley of death. It is after the pure science and before the usual process of individual companies developing particular products and processes. It is R&D. It is also where the British government used to play a crucial role, supporting the military industrial complex of the twentieth century ‘warfare state’ described by David Edgerton. It is also what the US still does far more than we do. It is hard to see because you have to look behind the American rhetoric of limited government. Moreover the scale of federal and state activity is hidden because it is divided up between several different agencies. The rationale is often military and security in its broadest sense. There are other reasons too: after President Bush banned federal funds for stem cell therapies, California voted for $3 billion of funding for it in a referendum. I have visited their research funding body and it will not just fund pure research but also help on the new processes needed to manufacture these therapies and use them to treat patients. Our research councils tend to focus on more upstream research whereas in the US, Defense Advanced Research Projects Agency (DARPA), the National Institutes for Health and the Department of Energy go further downstream closer to market. Sometimes our approach can look like mother birds pushing their fledglings out of the nest but with too many falling to the forest floor to be eaten by foxes. We think our problem is that we lack the same willingness to take risk as in America. But often we were expecting companies to step in earlier, taking more risk than in the US or elsewhere. The Technology Strategy Board is a crucial but underestimated institution which can help plug that gap. It is working more closely than ever before with our Research Councils to get more sustained support from blue skies research to closer to commercialisation. As part of our life sciences strategy we set up a Biomedical Catalyst worth £180 million split 50/50 between the Medical Research Council and the Technology Strategy Board (TSB) to take new medical innovations closer to practical application. Already this scheme is a real success. I am keen to repeat this model elsewhere. Yesterday, I announced a £25 million catalyst fund for Industrial Biotechnology and Bio Energy, linking the Biotechnology and Biological Sciences Research Council (BBSRC) and the TSB. The US does other things on a far more ambitious scale than us. They are more imaginative and bold in the use of procurement for example. Their support for innovative small businesses with Ronald Reagan’s Small Business Research Initiative is on a scale far greater than ours. Where government has a big role such as in medicine or security they harness that. The US Orphan Drugs Programme for example provides strong incentives for drug development. DARPA rests on the assumption that US security depends on harnessing key new technologies and they do that not just with research support but with contracts that are offered for new products at a very early stage. Indeed Silicon Valley originally grew on the back of contracts from the military for computers and IT. Just showing that they do it in US doesn’t prove the point on its own. There are perhaps four specific objections which we need to address. First, we have to accept we make mistakes. We do not have perfect foresight. Some of the technologies for which we have high hopes today will turn out to be clunkers tomorrow. That is because this is all about taking risk – if the risk was much lower then we could indeed leave it to straightforward business decisions. But we do have a wide range of expertise to help us understand scientific and technological trends and we have set out our thinking more openly than ever before. Indeed that is why I am releasing today my pamphlet describing eight great technologies. Secondly we are told that the high tech sector is small and the real big commercial issues are elsewhere. The Organisation for Economic Co-operation and Development (OECD) defines sectors as high tech if they devote more than four per cent of turnover to R&D. This is a demanding test. And companies or sectors which do this are unusual. But they can develop technologies which then go mainstream and have a massive impact way beyond any specific sector. These new technologies may be absorbed by business sectors that themselves do little R&D but are nevertheless transformed. Thirdly there is the danger incumbents get the support not the insurgents. New small businesses are crucial and we have a range of programs specifically aimed at promoting them. But the fact is that lot of the R&D spend is in big business. Indeed our shortage of big primes at the top of the supply chain is one of our key industrial weaknesses. So big business does matter. Where we do have key primes – as in automotive, aerospace or life science, they themselves can be protectors of small business as they maintain a supply chain. Moreover they may not have a cushy time. These new technologies are often deeply destabilising. They are a challenge to traditional businesses which find themselves having to adjust to the arrival of new technologies which disrupt what they do. The ones that survive have to move way beyond their traditional technologies and sectors. There is an interesting trend of patents being taken out for technologies which go way beyond the traditional activities of a business – the automotive sector taking out more patents in IT for example as it becomes crucial to the performance of a car. Finally there is the fear politicians are always seduced by baubles. We go for glitzy new projects rather than what has real potential. That is why it is important we draw on expert advice which has to be more transparent than ever. The pamphlet which I am publishing today identifies eight great technologies. It is not my personal view. It distills work done by experts in the Research Councils, the Technology Strategy Board and foresight exercises conducted by the Government Office for Science. We have published their reports. In an important speech to the Royal Society last November George Osborne listed them and asked if people agreed with them. By and large our analysis has been accepted. In the past I have drawn on the well recognised American account of four major technological advances – Bio, Nano, Info and Carbo or BNIC for short. It gives us extra confidence in the analysis behind the eight great technologies that they fit into these categories. The first three on our list of eight technologies are broadly information technologies. Then the discovery that biological data is digital moves us on to Bio. Advanced material design often involves nano technology. And our final technology is, in large part, about reducing carbon in our energy supplies. As well as identifying these great technologies today I can set out more fully than ever before what Government is doing to back them. We are systematically working through all eight to ensure they are properly supported. There are some basic steps we can take using the convening power of government. So here is Industrial Strategy 101. You set up a leadership council probably co-chaired by a BIS minister and a senior industry figure in which researchers, businesses, perhaps regulators and major public purchasers come together. You use it to get them talking to each other confidently and frankly. Then that group might commission a trusted expert to prepare a technology road map which assesses where the relevant technologies are heading over the next five years or so, where publicly funded research is going, and what business is likely to do. Just this exercise, before any increase in public funding, can transform behaviour. Some of the big companies for example might have a HQ abroad and it means their managers here and also BIS ministers can show to them what we are doing and encourage more investment here. It can encourage businesses sitting on piles of cash to invest when they see how it fits in alongside investment we are committed to putting in. You might go further and find that if the government puts some money up front it can get co-investment by others. You might find some key regulations which need to be eased, or perhaps the opposite and some need to be even introduced to help give confidence a new technology can safely be adopted. Government might be more open about its procurement plans than before and more willing to go for an innovative use of a new technology not settling for the tried and tested. But crucially you have a vehicle for making this happen and building mutual trust. The quality of links between business, the research community and government is itself a source of comparative advantage in the modern world. Let me now very briefly review progress on each of these eight key technologies. They will be backed further by the decisions I am announcing today on the allocation of an extra £600 million of funding. This investment in science and technology, announced by George Osborne in the Autumn Statement, is additional to the ring-fenced science budget. The power of computing and data handling is now becoming so great that classic distinctions between micro and macro effects are breaking down. We are reaching the stage of being able to model airflow across a turbine blade or the movement of a liquid through a tube at the molecular level. Computer modelling of an economy, a substance or a process is therefore becoming very different and far more sophisticated than it was even a decade ago. The importance of these developments is being recognised around the world. I note that I am giving this speech on the same date as the Data Innovation Day in the US. We have set up the e-infrastructure leadership council co chaired by Dominic Tildesley, formerly a senior business executive from Unilever, and myself. We share with industry our plans for research funding so as to encourage co-investment by them. We are seeing the benefits already with companies such as IBM, Cisco and Intel making a number of investments into the UK. Business will invest more as they see us invest more in computational infrastructure to capture and analyse data flows released by the open data revolution. The government invested an extra £150 million in e-Infrastructure in October 2011. This has been followed by a further allocation of an extra £189 million in the Autumn Statement. This will be invested over the next two years in key areas such as: bioinformatics and environmental monitoring. Our investment in data has also ensured we maintain our leadership in social science. We have invested £23.5 million in the Economic and Social Research Council (ESRC)–led life study, the most ambitious birth cohort study yet, which will track 100,000 children from birth. The reason it is so ambitious is that it will also link genetic data, environmental data and educational outcome data. The UK is once more seen as a leading space science nation. Companies have focussed on making satellite technology more affordable with smaller, lighter-weight satellites that lower the cost of commercial launches. Surrey Satellites Technologies (SSTL), one of the UK’s single most successful university spin-outs, is the world leader in high-performance small satellites. Roughly 40 per cent of the world’s small satellites come from Guildford – and now even smaller nano-satellites are coming from SSTL and Clydespace in Glasgow. The Space Leadership Council is co-chaired by an industry executive and myself. The Coalition has made a series of significant investments in space over the past two years, and these investments have given the industry confidence to invest more for the future. Every major public sector investment has triggered commercial investments several times greater. We have also set up a Satellite Applications Catapult at Harwell. In March 2011 we launched a £10m National Space Technology Programme in the UK and this original programme attracted £17 million in matched funding from institutional and industry investors. Early analysis suggests the return to the economy from this investment of £10 million will be between £50 million and £75 million. Today I can announce that as a result of the Autumn Statement the Government will be investing an extra £25 million in the further implementation of the technology vision through Phase-2 of the National Space Technology Programme. This £25 million of further investment will meet un-met demand as many excellent projects were not supported in the first phase. The UK has some distinctive strengths in this area, going back yet again to our abilities in software programming and data handling. Effective handling of data from a range of sources is key to autonomous systems and we have real skills here. It was an extraordinary feat of engineering to land NASA’s Curiosity probe on Mars last year. Its Mars Rover vehicle is however largely controlled from Earth with a delay of at least seven minutes as instructions travel to Mars. The European Mars Rover vehicle, due to land in 2018, is more autonomous, using mainly British technology to enable it to travel further during the Martian day and therefore carry out more investigations during its design life. The Engineering and Physical Sciences Research Council funds much of the research on robotics. It has so many different applications across different industrial sectors that the R&D effort is fragmented. There is also no single leading major industrial prime leading the development of the technology. In October 2012 I convened a meeting of key experts on robotics and autonomous systems at the Royal Academy of Engineering to discuss what more could be done to promote this important general purpose technology. The discussion showed the need to bring greater coordination of this research. The Technology Strategy Board is now creating a Special Interest Group on Robotics and Autonomous Systems which will shortly produce an outline technology road map to promote future investment. The participants in last October’s meeting also proposed academic centres of excellence that would both conduct basic research but also translate it for commercial application. For this reason I am announcing an investment of an extra £35 million for centres of excellence in Robotics & Autonomous Systems. They will be created in and around universities, innovation centres, science parks and enterprise sites and provide bespoke support for both university and industrial interests. Support from these centres of excellence will provide the missing link between our SMEs and primes in this technology area. They will be hubs of technical expertise and training, providing cutting edge facilities and opportunities for business networking. In addition, the Technology Strategy Board will invest up to £1 million in feasibility studies to accelerate the development of novel robotics and autonomous systems concepts towards technology demonstration in multiple sectors. They will launch the competition in February. Many of the critical discoveries related to DNA were made in Britain, in perhaps the world’s greatest post-War research institute – the MRC Laboratory of Molecular Biology in Cambridge. It is not just the original discovery of the structure of DNA by Watson and Crick, drawing on work by Rosalind Franklin and Maurice Wilkins. More recently researchers funded by EPSRC, have successfully demonstrated that they can build some of the basic components for digital devices out of bacteria and DNA, which could pave the way for a new generation of biological computing devices. The researchers, from Imperial College London, have demonstrated that they can build logic gates or switches, which are used for processing information in devices such as computers and microprocessors, out of harmless gut bacteria and DNA. Although still a long way off, the team suggests that these biological logic gates or switches could one day form the building blocks in microscopic biological computers. We produced a synthetic biology road map last year and a new Synthetic Biology Council has been established to ensure this road map is delivered. I co-chair it with Lionel Clarke, a senior executive from Shell. We are making a series of investments in research in synthetic biology. The UK Research Councils and the Technology Strategy Board are spending over £90 million on world leading synthetic biology research and commercialisation including £20m announced by the Chancellor last November. We announced as part of our Life science strategy one year on that a further £50 million will be invested in synthetic biology as part of the subsequent Autumn Statement settlement. This will be used to support implementation of key recommendations from the UK Synthetic Biology roadmap, including establishing multidisciplinary research centres as well as a seed fund to support start-up companies and ‘pre-companies’. We also announced that we are investing £38 million in a National Biologics Industry Innovation Centre. This investment will allow the development of a large scale facility for the manufacture of biologically produced medicines such as antibodies and vaccines. At present no major pharmaceutical companies manufacture significant quantities of biologics in the UK so this centre will fill a gap in biologic manufacturing capability and strengthen the UK’s case as the location of choice for internationally mobile life sciences companies. The centre will be managed by the Centre for Process Innovation (CPI) as part of the High Value Manufacturing (HVM) Catapult and also supports regenerative medicine. Regenerative medicine involves restoring function by replacing or restoring human cells, tissues or organs. There are three main approaches researchers are pursuing – transplantation of cells, tissues and organs, stimulation of the body’s own self-repair mechanisms; and the development of biomaterials for structural repairs. This is led by world class research in centres such as Edinburgh (where Dolly the sheep was cloned), Cambridge, Leeds, and London. Our research has moved on from Dolly the sheep to Jasper the dog. He had spinal injuries but was able to walk again by injecting his spinal cords with a specific type of stem cell. The potential applications for human medicine are easy to envisage. The Research Councils and TSB recently published ‘A strategy for UK regenerative medicine’, including commitments of £25 million for the UK Regenerative Medicine Platform, (which is establishing multidisciplinary programmes to address the key roadblocks in developing therapies in this area) and £75m for translational research. Our Cell Therapy Catapult has now opened at Guy’s Hospital in London. An extra £20 million capital was allocated to the Regenerative Medicine Platform at Autumn Statement 2012 to provide imaging and cell manufacture technologies and a clean room. Britain did not just lead the Industrial Revolution, we pioneered the Agricultural Revolution too. From leading that Agricultural Revolution in the late eighteenth century to new biotechnology-led advances, the UK has remained at the forefront of agricultural research. Chickens are a prime example. Chickens are the world’s biggest source of meat, and are particularly important in Asia. We breed the world’s chickens – of the £85 billion global poultry market, 80 per cent of breeding chickens come from genetic stock developed in the UK. Thanks to our genetics research you get twice as much chicken for a given amount of chicken feed as 20 years ago. Each year we launch a new breed of chicken which will produce many generations over a year or more before a new improved version comes along. This is possible because of close links between the Roslin Institute, with its world leading R&D, and our commercial sector. BIS and DEFRA are working together with industry to strengthen links between research spend and agricultural policy. This work will be brought together in a new agri-tech strategy over the next few months. We are already investing £250 million in the transformation of the Pirbright Insititute of Animal Health as well as Babraham and Norwich research park. The Autumn Statement package earmarked £30m for capital investment in BBSRC’s world-leading agri-science campuses. A candidate for this funding is the construction of a new National Plant Phenomics Centre at Aberystwyth University. Advanced materials are a key tool for advanced manufacturing. UK businesses that produce and process materials have a turnover of around £170 billion per annum, represent 15 per cent of the country’s GDP and have exports valued at £50 billion. There has been quite rightly a flurry of interest in 3D printing, or ‘additive layer manufacturing’. This new technology is possible not just because of advances in IT but also because of advances in the materials that go into the process. It is no longer just a matter of printing out designer dolls: Southampton University has used advanced materials to show how we could print out a new aeroplane. The Prime Minister convened a seminar last summer on advanced materials which showed the importance of advanced materials for advanced manufacturing. As a result I can announce an extra £45 million in advanced materials research, for new facilities and equipment in areas of UK strength such as advanced composites; high-performance alloys; low-energy electronics and telecommunications; materials for energy; and nano-materials for health. In addition, we announced at the Autumn Statement a £28 million Expansion of the National Composites Centre (NCC), located on the Bristol and Bath Science Park. The NCC is one of the seven centres within the High Value Manufacturing Catapult. This investment will expand the NCC from 6,500 sq m in a single building to 11,500 sq m across two buildings, and give it the space to install equipment to work on larger structures made of composite materials. It will also enable the NCC to increase the level of skills development it undertakes, by creating a new training centre for higher level and vocational skills development, training the next generation of engineers in manufacturing and materials technologies. Efficient energy storage technologies could allow the UK to capitalise on its considerable excess energy production. While UK consumption peaks at 60GW, the UK has generation capacity of 80GW but storage capacity of only 3GW (primarily from the single Dinorwig water system in Wales). Greater energy storage capacity can save money and reduce the national carbon footprint at the same time. It has the potential for delivering massive benefits – in terms of savings on UK energy spend, environmental benefits, economic growth and in enabling UK business to exploit these technologies internationally. Energy is one of the largest single themes in Research Council funded research, with a portfolio of over £600 million of total current awards. In addition the government will invest an extra £30 million to create dedicated R&D facilities to develop and test new grid scale storage technologies. We are also considering a strategic opportunity to partner with the US Department of Energy in the development of small modular reactor technology. Behind these technologies lie a network of research labs and facilities. They are a shared national asset for scientists but also of use to business too. We are systematically investing in them and trying to strengthen links between researchers and industry. Many of them are located on university campuses. We are promoting university/business collaboration by our imaginative Research Partnership for Investment Fund which has secured £1 billion of new investment on R&D facilities on our campuses. We are working with our partners to create the new Crick Institute in London which should be one of the world’s leading new medical research facilities when it opens in 2015. We are also creating seven Catapult Centres linking business and public funding for new technologies. We are stimulating research clusters like Harwell and Daresbury which are both now enterprise zones. I am delighted to announce that an extra £65 million from Autumn Statement 2012 will be invested in buildings, joint facilities and infrastructure to promote co-location of industrial and academic groups, and support high-tech business on campuses. Investment will mainly be focused around the development of four campuses: Rothamsted Research Campus, Aberystwyth (IBERS as I have already said), Harwell Oxford, and SciTech Daresbury. This will enable the UK to accelerate the exploitation of its world leading research base to deliver jobs and growth by bringing together substantial, internationally significant research capabilities with a variety of users, supporting the setting up and development of innovative knowledge based companies in sectors ranging from food and farming through to the production of synthetic diamonds. Scientists also need constantly to upgrade their equipment and labs. Indeed the inter-action between science and technology is itself one of the great drivers of innovation. For this reason we will be investing an extra £50 million in these over the next two years. We are also encouraging academics to think about the wider impact of what they do. It does not mean faking forecasts of likely benefits. I welcome the recent step by EPSRC to tackle these anxieties. For all these eight great technologies to come to market we also need excellent measurement and as part of the Autumn statement I can today announce we are providing an extra £25 million to build a state of the art laboratory for cutting edge measurement research. The creation of advanced facilities at the National Physical Laboratory in Teddington will allow scientists there to undertake leading edge research in key nano and quantum metrology (measurement science) programmes. This ability to make accurate measurements underpins the UK’s competitiveness in both existing markets and to underpin new technology that will support growth in the UK economy. For example Rolls Royce would not have been able to supply turbine blades to Airbus without measurement traceable to NPL; graphene could not have emerged as a viable proposition without the pioneering research work that NPL performed to be able to measure its properties. Also to underpin the development of the technologies within these eight areas, we need highly skilled individuals. To support this EPSRC is making a £350 million investment in Centres for Doctoral Training (CDTs) to develop the talented people that will create future growth and a more sustainable future. Centres will be in areas including the digital economy, renewable and nuclear energy, synthetic biology, materials technologies, regenerative medicine, data to knowledge, and advanced manufacturing. This investment will refresh the current portfolio of Centres for Doctoral Training announced in 2008. Current students of these centres are helping change the world from reducing risk in the financial sector to pioneering 3D inkjet printing for individually tailored therapeutic drugs. The government’s investment of £600 million through the Autumn Statement 2012 in Research Council infrastructure, and the facilities for applied research and development (R&D) will support the development of innovative technologies and strengthen the UK‘s competitive advantage in areas such as big data and energy efficient computing, synthetic biology and advanced materials. The pamphlet on our eight great technologies is being published today. I would like to invite you back in ten years time on 24 January 2023. There are risks of course. I may not be around. Policy Exchange may not be. But I hope most of us are and that we are still excited about science. Imagine that today we are burying a time capsule and we are going to open it up in ten years when we can take stock. One possibility is that of course technology has developed in a way completely different than set out here. I am still waiting to commute to work on a personal jet booster pack as operated by James Bond in Thunderball. There could well be new technologies which we just have not considered. We are not claiming perfect foresight. But in addition there are six real possibilities for the long-term impact of our strategy for these eight great technologies. Here they are. We are still waiting. The analysis broadly stands but it all takes longer than we had hoped. Robots for example are still trundling round labs but not yet waiting at our tables. The technologies will not have worked out in the way we expected but new businesses have emerged in a more indirect route. As every romcom shows, things rarely work out in the direct routes we expect. ARM originates with the BBC Acorn computer project run out of Bristol. The technologies play out roughly as we describe but it all happens abroad. We have a few multi-millionaires who sold their ideas to foreign multinationals but not much else. This is one of my fears. It is the observation that we grow the world’s best corporate veal. We have grown the companies here so they have put down roots and we have got genuine expertise which cannot be shifted. But ultimately they are owned by a big corporate which has HQ somewhere else. Illumina is a happy example. Just as the US has got Google Amazon Facebook Ebay. We have got more companies like Vodaphone or GSK or Rolls Royce. We get regulations right. We have patient capital. We are the home to more top 500 companies than we are now. We host the world’s clusters. From Formula One in Oxford/Warwick/Birmingham to Tech City in East London and space activity around Harwell, we are famous for our world class R&D centres. The emerging economies are keen to work with us because creating a world-class university from scratch is hard. It is smarter to work with ones you have. Britain is increasingly recognised as the world’s best R&D lab. We have achieved our ambition of being the best place in the world to do science. Multinationals base their R&D facilities here. Smart people from around the world want to come and research here. We have also earned a reputation as the best managers of big international scientific projects. I believe that with our eight technologies we will probably have a mix of these outcomes. But I am optimistic. With our strong public support for R&D and these new measures for converting discovery into commercial opportunities we can indeed achieve a lot. We can help new businesses grow. We can be world’s R&D lab. We can indeed be the best place in the world to do science. 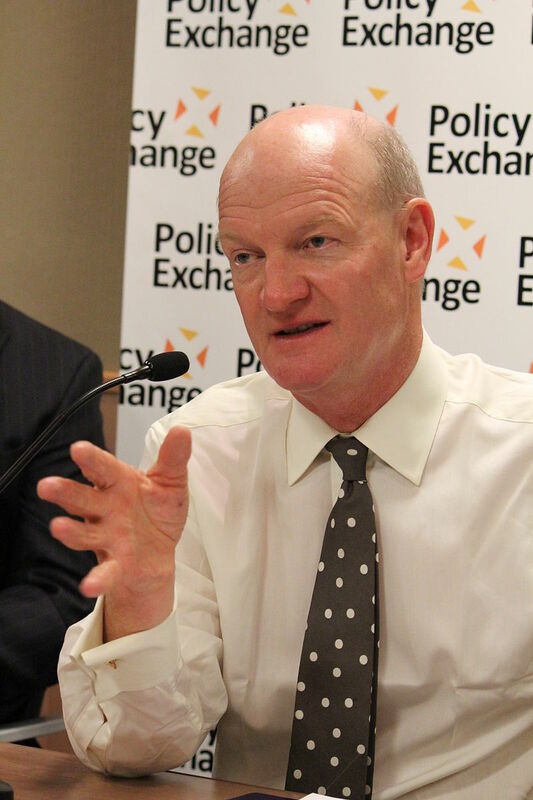 Below is the text of the speech made by David Willetts to the Annual Conference of the National Association of Pensions Funds. The speech was made on 23rd May 2003. To be speaking to you this morning in the slot reserved for the Secretary of State is a great pleasure for me and I suspect a great surprise for you. Last week there was a media flurry when my friend Oliver Letwin said at a speech to the Police Federation that it would be a miracle if he were the Home Secretary after the General Election. A week later the National Association of Pension Funds has almost achieved this miracle for me. And I will seize with both hands this opportunity to set out the approach my Party would take if I were, shall we say by some great good fortune, to serve as the Secretary of State for Work and Pensions. But I would just like to take a moment to say how much I appreciate the advice and expertise of the National Association of Pension Funds. Peter Thompson has been a marvellous Chairman. He richly deserved to win the title of Pensions Personality of the Year – how much competition there was is not for me to say! And I very much look forward to working with his successor Terry Faulkner. He has already spoken up with great passion and conviction on, for example, the absence of any pension shortfall insurance in this country. Then you have of course your formidable new Director General Christine Farnish. A couple of months ago I ran into Christine on the Eurostar to Brussels when we were both going to a conference on European Pensions. As well as that, in the gaps between the conference sessions, she was going off to the Commission to set them right on some of the worst mistakes in their draft Pensions Directive and Christine achieved just about everything she set out to do – as I knew she would. We are all here at this conference because we care about the future of our nation’s pensions and the prosperity of our pensioners. Everybody that I talk to in the world of pensions tells me the same thing. It is vitally important to have long-term stability. We need an environment in which people can plan and save with confidence. I can assure you that message is received and understood. There’s quite enough uncertainty in the world already without politicians adding to it. Everything which my Party proposes on pensions is part of a long term vision for better funded pensions. But that sense of responsibility does not mean we will not hold the Government to account for their mistakes or press for the action that is so obviously needed and is so obviously lacking. We have had a lot of consultation about pensions policy. In fact I recently put down a Parliamentary Question asking the Minister how many consultation exercises on pensions they have carried since 1997. The reply was there have been so many that the answer could only be obtained at disproportionate cost. If it would have been a disproportionate cost for officials to count them all up, think what a disproportionate cost it has been for you to respond to all of them. In fact I think the reason we don’t have a Minister for Pensions yet is that they must be carrying out another one of those consultation exercises. And then the decision will go to an expert committee. I think it should comprise Ron Sandler, Paul Myners, Alan Pickering and Adair Turner. We’ll end up with an appointment that is catmarked, unbundled, with no bells and whistles, and compulsory. We face a crisis of funding pensions in our country. How we got here is a long and complicated story. As you may know, I have compared it to the film The Perfect Storm. You only get something as big as the crisis affecting our occupational pension schemes today if a host of different factors all come together. Many of them are not under government control – improvements in longevity or a shift to a much less paternalist model of employment. But that makes it all the more important that the things which are under the government’s control it gets right. And sadly the removal of the Dividend Tax Credit has made a bad situation worse. It has taken £5 billion out of our pension schemes every year. That makes £30 billion already. When it’s capitalized that’s around £100 billion. In addition the contracted out rebate is no longer set at an actuarially adequate level. That is another £1.5 billion a year taken from our pension funds. It adds up to an enormous extra burden for them at a time when they are particularly vulnerable anyway. I have been trying to get accurate figures about the amount that we save in our pension funds and the value of the assets in them. Last year I was shocked to discover the Office of National Statistics and Ministers putting out figures that frankly could not possibly be credible. They were saying we saved £86 billion a year in our pensions in 2001. Ian McCartney said “These figures suggest that the stable economy has created the right conditions to save and that our policies to encourage higher levels of private saving are having a positive effect.” On reflection, perhaps it is better that he is Chairman of the Labour Party rather than Minister for Pensions. I wasn’t very confident in the figures for our pension fund assets either. They were all over the place. In fact without any comment at all they retrospectively reduced their figure for the value of the assets in our pension schemes in 1999 by £104 billion. They managed to lose an amount more than the entire GDP of Portugal – knocked off our pension funds overnight by the stroke of a statistician’s pen. So I have been working hard trying to get more accurate figures. Andrew Smith, to his credit, accepted my criticisms, apologized for the mistakes that were made publicly, withdrew his figures and allowed the ONS to engage in a dialogue with me about their calculations. My own estimate, drawn from ONS figures, is that we weren’t actually saving £86 billion in 2001. I can tell you today the true figure is around £32 billion of contributions into pension schemes – and that includes contracted out rebates. These figures are devastating. What they show is that we are saving perhaps a third of what Ministers were claiming only a year ago. The figure is going up a bit because contribution holidays are coming to an end and companies are having to put more money into their pension schemes. But the extra amount that is going in barely compensates for the amount going out with the loss of the Dividend Tax Credit. Businesses are having to run very hard just to stand still. These figures have enormous implications. We just aren’t saving enough to enjoy a decent pension when we retire. The combination of a low level of savings and a modest state pension is unsustainable. We have to rebuild our pensions savings. And if we don’t, people will retire with such low funded pensions that they will claim higher state benefits instead. There is something here which has puzzled me and perhaps you for a long time. Just about every official forecast you ever see of British public spending on pensions shows it running at about 5% of GDP from now until Kingdom come or at least 2050, which for a politician, if not an actuary, amounts to the same thing. And that’s despite the number of pensioners rising by 50%. How do they manage it? The answer is that every possible assumption, is being tweaked to get to that magic 5%. For example, they assume that the income that pensioners get from funded savings grow in line with earnings. But the levels of pension contributions I have just described couldn’t possibly sustain that. If you use a more pessimistic, dare I say more credible assumption that income from funded saving grows in line with prices not earnings then that adds 1% of our entire national income or £20 billion in today’s prices – to expenditure on the Pension Credit in 2050. That shows that means-testing benefits doesn’t reduce public spending if funded savings aren’t there. Many of the forecasts also leave out disability benefits, Housing Benefit or Council Tax Benefit. The welfare payments are a much more important part of benefit expenditure for pensioners in the UK than on the Continent. In fact, in a speech at the Institute of Economic Affairs this week, I estimated that the total benefit spending on pensioners in 2050 could well be more like 10% of GDP than 5%. We are heading for a society with low levels of funded pensions and high levels of dependence on means tested benefits. That’s not the direction in which I want us to go. And to be fair to them, it’s not the Government’s stated objective either. In their Pensions Green Paper, that’s the first one in December 1998, they said the aim was to reverse the balance of pension income so that instead of 40% from private savings and 60% from the state, it shifted to 60% from private savings and 40% from the state. Indeed this is one of the DWP published targets from 1998. The DWP annual report, published last week, includes a ‘summary of progress’. It says ‘the measures that are being introduced to encourage people to save for their retirement will take time to alter the balance between State and private sector provision.’ You can say that again! We were happy to support the Government when they announced that as their goal. But it is five years since they set their target and I don’t think they have made any progress at all. And in the rest of this speech I want to explain how I think we could get back on track. First, we have to recognize the State’s responsibility to provide benefits that offer pensioners dignity and independence and provide a solid base so that people know their saving is worthwhile. I am a realist and I know that there is always going to be some means testing in the British social security system. But we are heading in the wrong direction. In 1997, 37% of pensioner units were on means tested benefits. By this autumn when the pension credit comes in that could rise to 59%. The IFS have projected that the proportion of pensioners on means-tested benefits will grow to 73% by 2025 and 82% by 2050. Means testing has increased, is increasing, and ought to be diminished. Means testing undermines the dignity of our pensioners. It also undermines your ability to advise people confidently that they will be better off if they saved. It seems to me that one of the flaws in Ron Sandler’s Report for example, was to assume that if he introduced a basic stakeholder savings product, kite marked and low cost, then he didn’t need to worry about suitability. But however simple this product, be it a stakeholder savings scheme or a stakeholder pension, it is not suitable for people who are going to find themselves losing benefit as a result of having saved. The $64,000 question is: How big a capital sum do you need to yield an income that will float you off means tested benefits. Ministers will never give a straight answer to this question, and that’s because the answer is a lot more than $64,000. Frank Field knows as much about the benefits system as anyone and he has this week published his own estimate of the cost of an annuity to keep someone clear of means-testing throughout retirement – £85,000. Even that may be too low an estimate, because I don’t belive he has allowed for the growth of means-testing with the MIG growing with earnings when the basic state pension only grows with prices. My own estimate is £142,000 as the sum a newly retired pensioner couple would need to keep clear of means-testing throughout retirement. Only after that do you receive a full return on your savings. It is a staggering sum. So let me make it clear to you today. I recognise that any serious agenda for reviving our savings culture has to include reversing the spread of means-testing. And I can tell you today that my Party is therefore committed to reform of the system so pensioners are less dependent on means-tested benefits. There are a variety of ways for achieving this. We can’t promise that it will all be achieved in one simple step. But we are committed to tackling this problem. In fact we have already shown how serious we are about this. When the legislation for the Pension Credit came before the House of Commons, I was happy to work with Steve Webb of the Liberal Democrats and with Frank Field to put forward an alternative to more means testing. We said that money should instead have gone into a higher pension for older pensioners. We were serious then when we proposed and voted for that alternative approach and we are serious now as we look at how best to reform benefits for pensioners. Mentioning actuaries gives me the chance to applaud the work that they do. Everyone has their own favourite actuary joke, and we all know how well paid they are, but I am sure I speak for many in the room when I say that I know they do a difficult job which is getting no easier. With the benefit of hindsight I am sure there are few professionals who would not change some advice they have given at some stage in their career – I certainly would. But neither I nor my Party attribute the woes of the pension industry to the activities of the actuarial profession. Already companies are voting with their feet. When firms close their final salary schemes to new members what they also do is contract these new employees back in to the State Second Pension. What we are seeing is the first wave of an incoming tide of people contracting back into the State system. A survey by Mercers has shown that only 6 per cent of newly-established employer defined contribution schemes are contracted out. And, in addition, we know that only a small minority of stakeholder schemes are contracted out. In the short run this is a good deal for the Government because more revenues come in. But the shift comes at a very high price – much higher state pension liabilities in the future. So the second policy pledge I can give to you today is that we recognise that the system of contracted out rebates cannot continue in its current form. We are looking at a range of options for reforming it or replacing it. My Party is no longer committed to keeping contracted out rebates if we can find a better way of rewarding companies that are offering funded pensions for their employees. One approach, and it is in the NAPF’s own report Pensions Plain and Simple, is to abolish contracted out rebates to finance a big increase in the value of the Basic State Pension. There is a major prize here as you float a lot of people off means-tested benefits. But we can’t go down this route unless we are absolutely clear that we are putting in place new incentives for companies that are operating funded pensions. The NAPF report recognizes this. But you can’t spend the same money twice. You can’t put all the money into higher benefits for pensioners and then also say there need to be new incentives for companies to save. If we are to replace contracted out rebates in a way that is fair to British business, we need your views on what is the best regime to put in its place. Of the £11 billion currently estimated to be paid in National Insurance Rebates, £3.5 million goes to personal pensions and other DC arrangements. About £3 billion of the remaining £7.5 billion is paid to private sector employers. If contracting out is to end, we must ensure that incentives of a similar magnitude are provided in some other way. The challenge is for you to put forward ideas on the best ways of providing those alternative incentives for companies and individuals to put money into pensions. We might conclude that all that is needed is some reform of the existing system for contracted out rebates. But we will also want to consider far more radical options. My Party is keen to take a leading role in this debate. So far I have set out our commitment to reforming benefits and to better incentives for funded savings. There may well be people in this conference hall who think we need a third step as well – compulsion. I appreciate that people who propose compulsion do so from the highest motives – they, like me, want to tackle the problem of our inadequate saving. But I have to say that I am far from persuaded of the case for it. My first objection is one of principle. I am just uncomfortable with trying to solve yet another public policy problem by forcing other people to do what we want. At this rate our country is going to end up like Switzerland of which it was said that: in Switzerland everything which isn’t forbidden, is compulsory. That’s not the sort of country I want to live in. There’s a second problem too. What if we end up forcing people to do something which no IFA would recommend as being in their best interest? Can we really take a someone earning, say, £12,000 a year and with a credit card debt, and tell him that he is obliged to put more money into his pension, when it might not be the best thing for him to do in the circumstances. Even if compulsion does increase gross saving, it doesn’t necessarily increase net saving. People might borrow more, or save less in other ways. In Australia compulsion hasn’t increased the net amount that is being saved at all. There’s another problem as well. In the past, any list of approved pension savings schemes in which people were compelled to save would be bound to have included Equitable Life. What if people who had been forced to save had put their pensions there? Wouldn’t they have come back to the Government and said that it had a liability for having forced them to put their money into Equitable Life? Wouldn’t their demands for compensation be just about irresistible? These objections to compulsion are, well, compelling. It is most unlikely that any Government of any political persuasion would end up with some of the more ambitious versions of compulsion. I am afraid I’m rather cynical about the compulsion debate. There are quite a few businesses, maybe represented in this hall today, who are sticking with loss making products like stakeholder pensions because they think that they might be compulsory in the future. You take a loss now in the hope that compulsion might be round the corner. It is very convenient for Ministers for you to believe that, but I think it’s a tease. I don’t think anyone should stick with a product just because they believe that it might become compulsory in the future. There are however, practical things which we might be able to do to shift the balance towards saving without going to full blown compulsion. We particularly need to help employers who wish to make contributions into an individual’s pension scheme. It was the previous Conservative Government which removed the power for employers to require their employees to join a company pension scheme. The world has moved on since then – it is much less paternalist. I doubt if many companies would wish to make membership of their scheme compulsory even if they could. But when we recognised in 1986 that compulsory membership was no longer appropriate, we made two mistakes. Firstly, if we had permitted concurrent membership of a personal pension and a DB plan, it would have avoided most of the horrors of misselling. 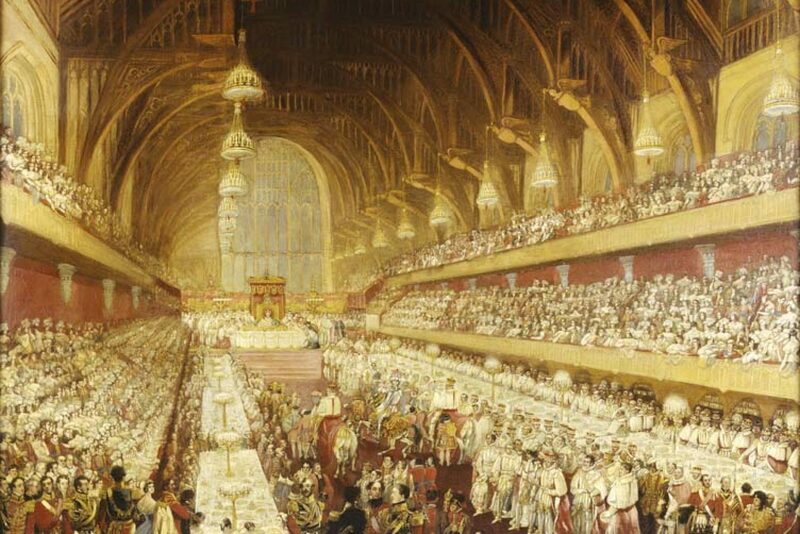 It was Conservative Peers in the Lords who showed we had learnt from that mistake when they forced the Government to allow concurrency with stakeholder pensions. Secondly, we should have allowed companies to presume someone is a member of a pension scheme unless they opt out. And that is what I propose today. We have created too many regulatory obstacles for companies who wish to put money into an employee’s pension scheme. The presumption is that they should be members unless they specify to the contrary. The same goes for stakeholder pensions. I was horrified when one of the largest stakeholder pension schemes described the hurdles that they had to clear in order for an employer to put money into an individual’s stakeholder pension. Even if it was simply a employer contribution with no strings attached, they had to write to the employee to ask for permission to set up a stakeholder pension and put money into it. If the employee did not send back the signed consent form, then they couldn’t pay in the money. 80% of the workers in their industry did not return the forms. The company did not have a legal basis for putting the money into the stakeholder pension. And if an employee did return the form, there was then a requirement for the company to send out a second letter within seven days advising that they could change their mind if they wished. Some of the people who signed the first letter would sign any letter and signed the second one as well. At the end of all this, fewer than 10% of the workers in the industry were going through the necessary legal hoops to enable the employer just to put money in their stakeholder pension. This was absurd. I am pleased to report that the first of these problems has been solved by a dispensation from the FSA. They are still waiting for the problem of the seven day rule to be solved. Moreover prospective members still have to receive 30 pages of key features and decision trees which help a few people, but put off many more. We do not need to set such legal barriers in the way of companies that just want to pay money to their employees’ pensions. In these circumstances the ‘do nothing option’ should be that the pension is set up. It should require a conscious decision to opt out. Although I object to harnessing compulsion to force people to save, I have no objection to using inertia instead. This is all very relevant to Adair Turner’s investigation of pensions. I admire Adair and am sure that his report will be worth the wait. When his committee was set up it was implied that if he judged that the current voluntary arrangements were not working, then the alternative would be compulsion. But, even if the current arrangements aren’t working, it doesn’t follow that the only alternative is compulsion. There are many other alternatives, including a wide range of reforms to our current system so that we improve the incentives for people to save rather than having to compel them. I hope and believe that Adair will feel able to range more widely over all these possible alternatives. So far I have tried to outline some features of the Conservative agenda for pension reform. Reforming the structure of state benefits so that we reverse the trend to more means testing. Reforming contracting out so that the money that currently goes into rebates instead goes into the best possible form of incentives for companies and individuals to save. Harnessing people’s inertia to encourage saving, rather than discourage it. But there are other practical things which can be done urgently to try to halt or even reverse this trend for companies to close their final salary pension schemes. Accoring to the NAPF’s latest survey 19% of final salary schemes are now open to new members – a devastating figure that nobody would have forecast even five years ago. The next step will be for more companies to close their schemes to existing members as well. Some have already started to do it. Unless we take significant policy measures, we are going to see nothing less than the disappearance of the occupational pension as we know it. So today I can announce three specific measures to which I can commit my Party. All of them reflect the advice of many people in the industry, not least from our Pensions and Savings Advisory Group. Each proposal is aimed at strengthening Britain’s occupational pension movement while there is still time. We do at least still have the infrastructure of occupational pension schemes in place. We must act before it is too late. First, we should remember that the final salary scheme is just one form of defined benefit pension. There are others. Many businesses have concluded that they can’t any longer afford to offer new employees the old final salary scheme on the 60ths formula. Incidentally it’s a great pity that we in the Commons have moved not just down to 50ths but to an accrual rate of 40ths, so much better than can be found in the rest of Britain. I could not in all conscience have been the pensions spokesman for my Party meeting so many people with real worries about their pensions if I had just voted an accrual rate of 40ths for myself. So I did not vote for this proposal and I am not taking the new higher accrual rate. The only trouble is I haven’t yet explained to my wife what I have done, but I hope my secret’s safe with you. At the moment the regulations for companies that want to change the terms of their pension schemes are very onerous indeed. In fact it is easier for a company to close its pension scheme to new members than to change its terms. Although well-intentioned, this protection for the terms of schemes is now having the perverse effect of encouraging companies to close their schemes altogether because they just can’t face the hassle of changing them. We need to tackle this problem. We support the relaxation of Section 67 which has caused so many difficulties over the last 5 years. And we would favour going further than the 5% the Green Paper proposes. Secondly, all the evidence is that employees look to their employer for information about the pension scheme. It’s no good just giving them bald figures without any context or explanation around them. In order for the new initiatives for information about the value of people’s pensions to have a real effect, they have to be put into some sort of context by someone who understands them. And the fact is that, sadly, many individuals can’t afford or don’t want to pay for an IFA. But a company ought to be able to explain the merits of its own pension scheme. Ever since we passed the Financial Services Act of 1986, companies and their advisers have felt anxious about this, as they knew that providing Investment Advice without authorisation is a Criminal offence, carrying the possibility of imprisonment. They have worried that if they go beyond the barest bones of factual information, they will be trespassing onto financial advisory work for which they will need to get separate registration with the FSA. But most employers don’t necessarily want to become a financial adviser as well. So we will change the law to make it even easier for companies to offer information to individuals about their company pension scheme. I hope and believe that this will encourage people to value what they get from their company pension and to stick with it. One of the reasons why the crisis has got so bad as it has is the asymmetry between the costs for employers of providing the pension and the understanding by employees of how much it is worth. We can’t ask employers to provide benefits which are expensive for them, but which are not valued highly by their employees. At the moment it is difficult for employers to show how much their pension might be worth. I have one more proposal that I can announce today. Last December, the Chancellor proposed limiting an individual’s pension fund to £1.4 million. This sounds like a lot of money, but the proposal is fundamentally flawed and it won’t work. There are three big problems with it. First, the proposed limit is in practice lower than the current earnings cap and would affect far more than the 5,000 people claimed by ministers. One independent estimate was as high as 600,000. The Prime Minister and the Lord Chancellor are to be exempt from the £1.4 million limit. We can’t have one rule for them and a different one for everyone else. Secondly, the proposal to up-rate the limit only in line with prices will cause all sorts of problems. Ever greater numbers of people could be caught in the trap and planning ahead will be impossible as no-one can predict the future value of their fund. Thirdly, the new rule imposes massive new administration costs. Every scheme would be obliged to report every year on the fund value of every member and the Revenue would have to collate all this information. That’s a nightmare. The Chancellor is tackling the wrong problem. The challenge is not to limit the amount of money people can have in their pension schemes. The challenge is the opposite – to encourage more people to put more money in to their pensions. Today I want to set out a different approach – a fair deal on pensions for everyone. In the United States, tax relief for occupational pensions is based on one simple condition – that every member of a firm is allowed to join the pension scheme. That’s a much better approach than in Britain. I am therefore proposing that the lifetime savings cap should be abandoned, but subject to this very important condition. The limit goes if all the company’s employees – from the highest paid to those on the minimum wage – are given access to the scheme on the same terms. We would also still need to keep some limit on the value of the tax-free lump sum. We now have two nations in pensions. It’s back to the bad old days of managers versus workers. That’s not the sort of society we want. Our proposal will once more create one nation in pensions. Nobody held back. Nobody left behind. I have set out for you this morning a six-point plan for pensions. First, we are committed to the reform of State benefits. Secondly, we will look at better ways of providing incentives to people to save, other than the traditional contracted out rebate. Third, although we don’t believe in compulsion, we are willing to look at ways in which we can harness the power of inertia to make it far easier for employers to put money into schemes and for employees to stay within the company pension schemes. Fourth, we will make it easier for companies to change the terms of their pension schemes instead of closing them. Fifth, we will tackle once and for all the doubts in the employer’s mind about whether they are able to give proper information to their employees about the merits of the company pension scheme. Sixth, and finally, we will move to a new inclusive approach to tax relief so that there are no upper limits on the tax relief provided that everyone can join the same scheme. I believe that this is a positive and constructive way forward to tackle one of the biggest crises facing Britain today. We are all at this conference today because we care about pensions. That’s what the NAPF is all about. And I admire the work you do. You work in this industry because you want to see people enjoy a prosperous retirement based on a well-funded pension. I get a lot of information about pensions over my desk every day. And do you know what’s the most depressing? It’s the increasing flow of invitations to conferences with titles like ‘Closing Pension Schemes for Solvent and Insolvent Employers’ or ‘Effectively Winding Up Pension Schemes’. Does anyone join a great industry like this in order to close it down? It would betray millions of people who rely on a funded pension for a decent retirement if we saw one of Britain’s great post-war successes disappear before our eyes. It’s not too late to rescue our funded pensions. What it needs is a new approach, a fresh determination, a clear strategy. We’ve had enough of consultations and Green Papers. The time has come to act.